In his latest blog post, Reform Party Chief Kenneth Jeyaretnam spoke of an alternative origin of the Workers Party. He criticised the Straits Times for “airbrushing” his father, Joshua Benjamin Jeyaretnam, out of history. 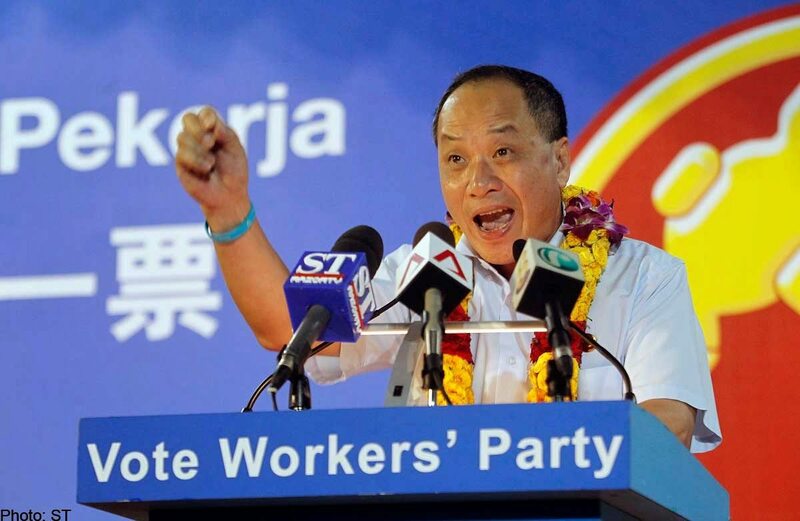 He accused the Workers Party and their party chief Low Thia Khiang of emulating the media manipulation acts of the PAP by playing down the works of JBJ. Despite strong emphasis by Workers Party media on the role of David Marshall, the former Chief Minister had little to do with the WP. Marshall had “left the party in a huff in 1963 and had nothing to do with the WP after that date”, quoted Kenneth. After Marshall’s departure, the party was dormant until it was revived by JBJ in 1971. 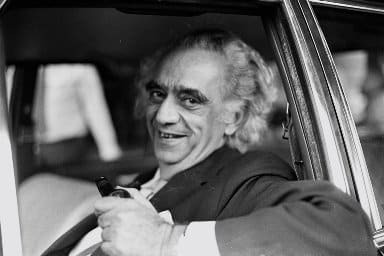 It was through JBJ’s works that the party awoke from slumber and JBJ must be credited as the true founder of the Workers Party. JBJ had “poured all his wealth and more into the party. Sacrficed his family, including ultimately my mother’s life”, said Kenneth. Mr Low Thia Khiang, a former secondary school teacher turned businessman, joined the Workers’ Party (WP) at the age of 26. Mr Low first entered Parliament after winning in Hougang constituency in the 1991 GE, defeating PAP candidate Tang Guan Seng. JBJ himself made a historic breakthrough by defeating Pang Kim Hin of the PAP in 1981. This was the first Opposition win since 1965. Kenneth claimed that Low Thia Khiang’s victory in Hougang in 1991 was possible because of JBJ’s performance in Parliament. In the WP’s 60th anniversary book “Walking With Singapore”, it was quoted by party stalwart Lim Ee Ping that the WP might not be where it is if Low had not won Hougang. “At that time, if it was Jeyaretnam who fought in Hougang, he would not have been able to win. 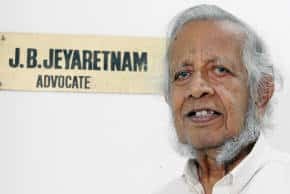 No matter what you say, Jeyaretnam was not Chinese, that area was a little racialised,” said Lim in in a Mandarin interview in the book. In 2001, Mr Low assumed the mantle of secretary-general of the WP after Mr Jeyaretnam left in unhappy circumstances. Kenneth disagreed vehemently with Lim’s statements. “The truth is, as shown by JBJ’s victory in Anson against a Chinese candidate in both 1981 and 1984 (with an increased majority)”, he said. According to Kenneth, his father said that most of his support came from the Chinese community. The truth behind JBJ’s departure was that Low Thia Khiang and other Central Executive Committee members refused to help pay off his debts arising from a defamatory article in the Hammer (party newsletter of the Workers Party). Kenneth said he was unable to understand why his father ended up having to pay off the debt when he (JBJ) did not write the article and Low was a member of the CEC.